Japanese cherry blossoms, which are known in Japan simply as "sakura," are flowers that come from cherry trees. Cherry blossoms are native to East Asian nations, such as Japan, China and Korea. 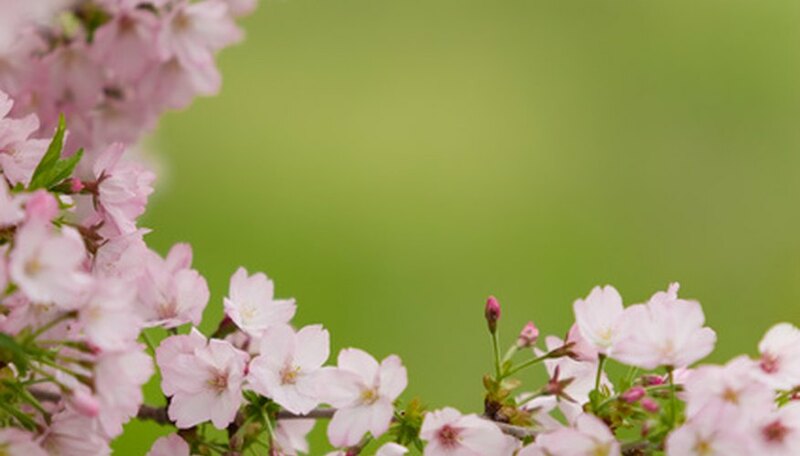 Japan is home to more than 200 different cultivars of cherry blossoms. Cherry blossoms are internationally well-known as being a symbol of Japan and Japanese culture. Some symbolism is also attached to these iconic flowers. Japanese cherry blossoms symbolize clouds, since they tend to all bloom in one large group. In many ways, the meaning behind cherry blossoms is a metaphor to Japanese culture, since Japanese culture is extremely group-oriented. Japanese cherry blossoms symbolize the ephemerality of life and existence. This is because of the brevity of the blossoms' lifespan (they bloom for merely two weeks every year), with its radiant beauty and rapid death. Cherry blossoms are linked to mortality because of this. Japanese cherry blossoms also mean strong luck and good fortune. They are considered to be omens of good things to come. The blossoms serve as emblems for affection and love. During the second World War, Japanese cherry blossoms came to be used as a motivating symbol for the Japanese public, to encourage both militarism and nationalism among the general population. Cherry blossoms would often be painted on airplanes that were sent on suicide missions. In many cases, branches from cherry blossoms were brought along inside the planes. In China, cherry blossoms hold a very different meaning than they do in Japan. Cherry blossoms there symbolize female beauty and dominance, as well as sexuality. It also symbolizes the female principle and is the flower for the month of April.